IDEA's new musical sensation is the jazz ensemble, led by music teacher Mark Vialva. 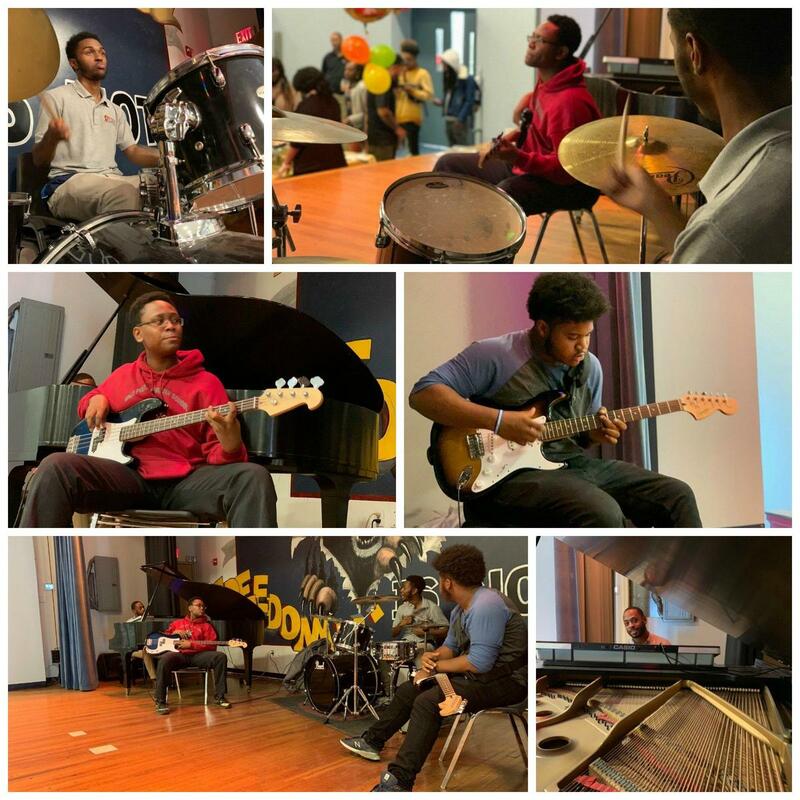 Under the direction of IDEA's music teacher, Mark Vialva, a new jazz ensemble has started playing at IDEA special events, to rave reviews. The group debuted at the Harvest Dinner for more than 100 families, scholars, and staff. The ensemble then performed at the Big IDEA--our school's 20th anniversary celebration on November 28, for an audience of alumni, former and current staff and board members, community supporters, and local politicians. Their sound was so good that dancing broke out in the hallways. The ensemble includes Earnest Hooks on drums, Anthony Contee on electric guitar, Michael Artemus on bass guitar, and Mr. Vialva on piano. Keep an ear out for future performance dates!